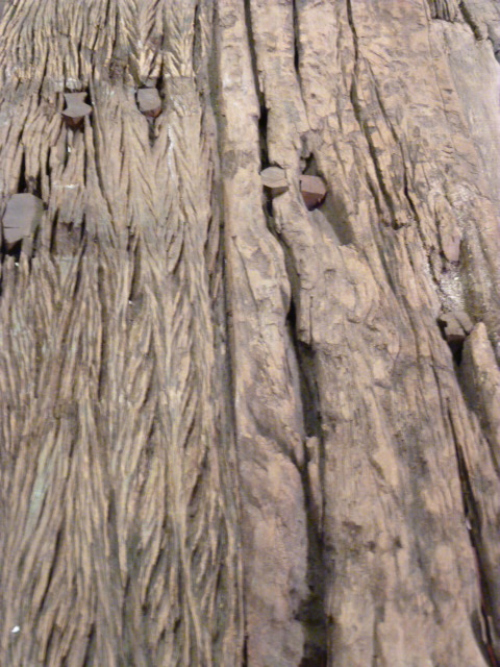 Material mixes were another look I fell hard for at Las Vegas Market. 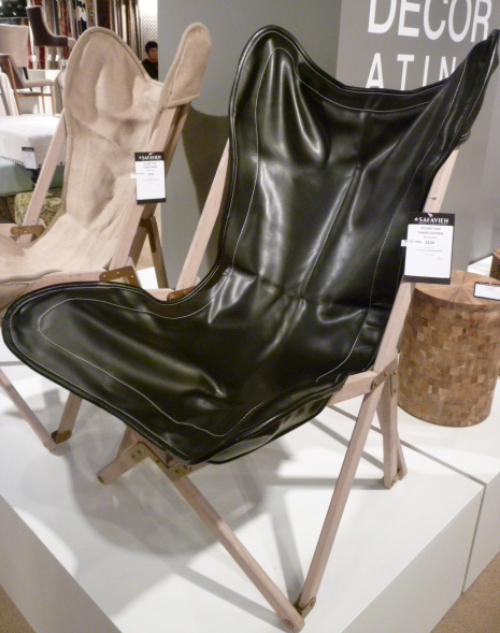 Safavieh's leather and wood chair is a fantastic example of this look. 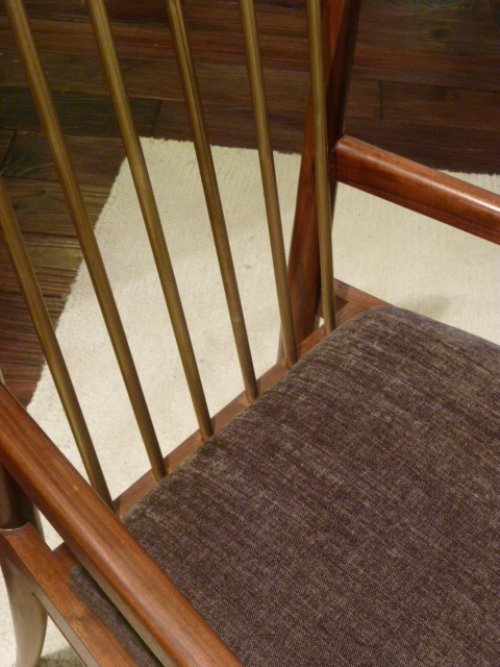 Artfully combining a Scandinavian influenced chair with woven leather seat. 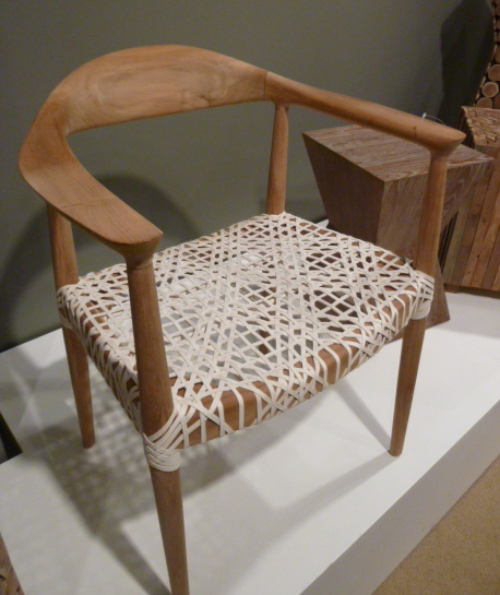 Also from Safavieh new twists on the traditional camp chair in canvas and leather. 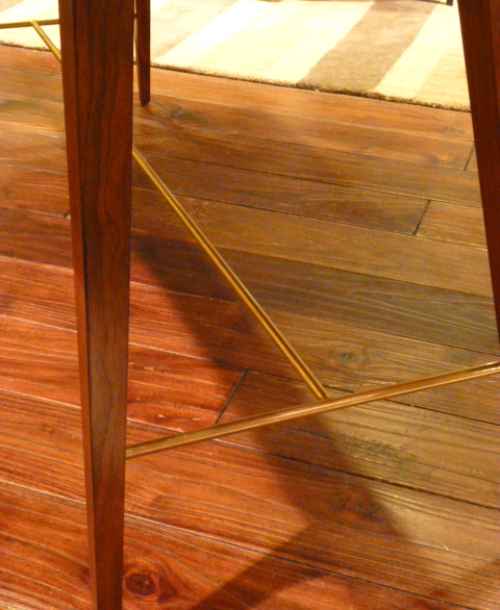 Brownstone mixed wood with brass rods in both dining tables and chairs in these Mid Century style pieces. 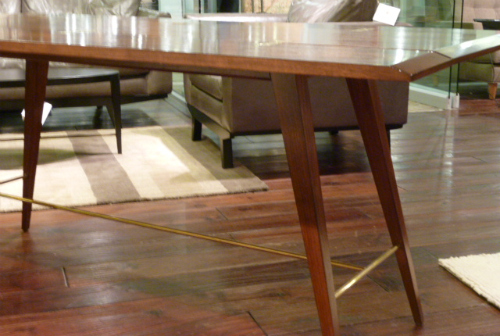 Brownstone again- with a rough sawn reclaimed wood top with sleek modern chrome legs. 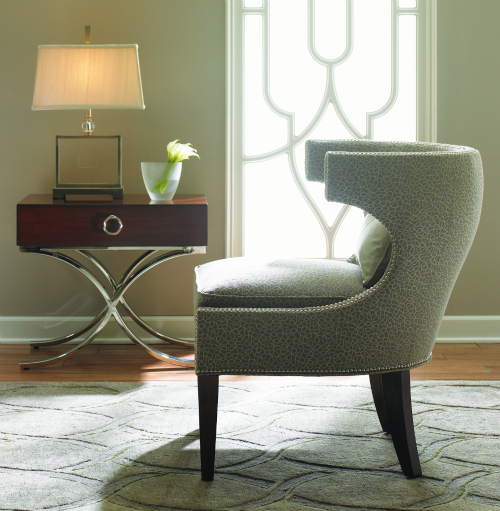 Probably the most unexpected line I saw was the Mirage collection from Lexington furniture. Normally I would walk right by this showroom as I have thought of it as to traditional for my tastes. This time something caught my eye and I walked in to be happily surprised. 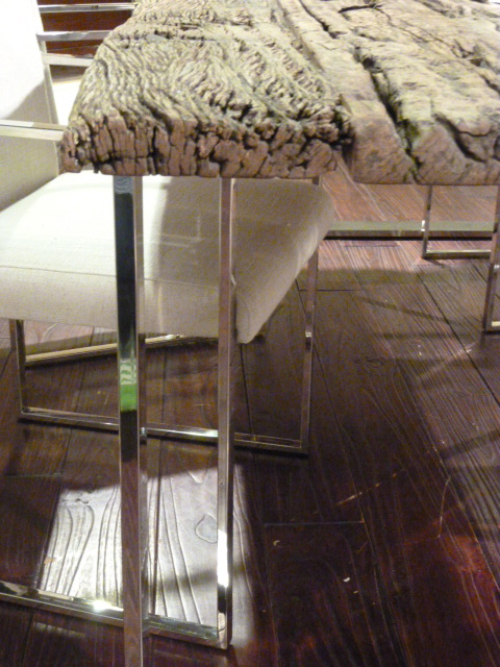 fab chrome and mahogony bookcase.